SCOTTSDALE, AZ 85255, JANUARY 24, 2018 – Futura Automation LLC is pleased to announce the addition of a new product line, Applied Robotics, throughout its served territory of the North American West and the Southeast. Applied Robotics Inc. is a leading global provider of robotic end-of-arm tooling and connectivity solutions and increases the capability and presence of Futura Automation in the North American industrial robotics and advanced automation markets adding depth to other key lines: Applied Motion Products, E-Drive Actuators, Flexomation, Joulin, Macron Dynamics, Manufacturing Asset Solutions, Robot System Products, Sicron, Toshiba Machine Robotics and Zero-Max. Futura Automation, based in Scottsdale, AZ, is a Manufacturer Rep agency and value-added solutions provider focused on the needs of advanced manufacturing, end-of-line packaging and robotics customers and system integrators. The team at Futura has 30+ years’ experience in industrial automation and systems, making them an ideal addition to the Applied Robotics team. With offices in Arizona and North Carolina, Futura Automation will add significant coverage depth for ARI in the marketplace. 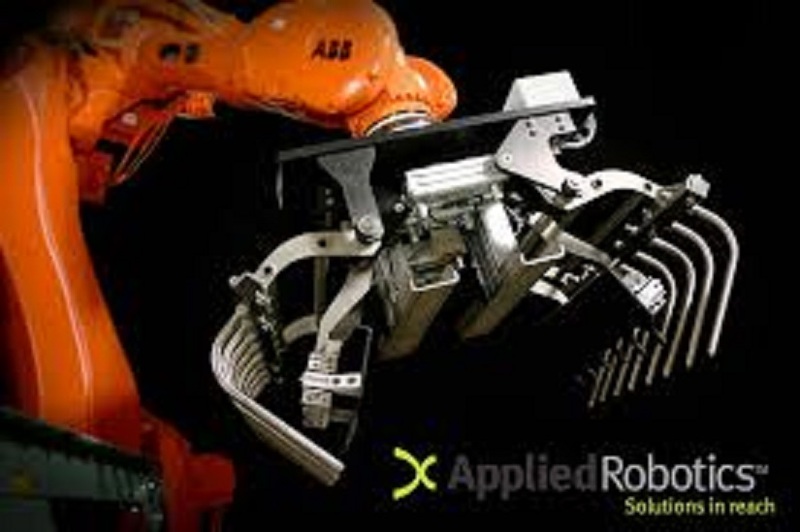 Applied Robotics, Inc. has over thirty years of experience engineering complex robotic and automation equipment. Applied Robotics was the first company to develop automated tool changers and continues to engineer state-of-the-art solutions allowing our customers to stay at the forefront of their respective industries. It is headquartered in Glenville, NY, and specializes in tool changing, collision detection, and gripping applications. In addition, Applied Robotics provides industry and application specific solutions to the most challenging problems.